What Should I Do About My Noisy Neighbor? Imagine this scenario. You have found your dream house in your dream neighborhood at the right listing price. Or maybe you found the perfect apartment in a beautiful complex with a pool and a state-of-the-art gym. You think that you have found the perfect place to live, so you move in with all of your furniture and began to get yourself and your family acclimated to your new home. Then, you realize that your new residence came with something that no house inspector could have discovered and that no leasing agent could have revealed. Through unfortunate experience, you realize that your new neighbor is a noisy nuisance. A Cape Coral man was recently arrested after his neighbors called in a 24th noise complaint to authorities in a period of just two months according to a recent article in the News-Press. The 39-year-old man reportedly has a habit of drinking beer in his front yard while playing his music so loudly that his neighbors are unable to sleep. Clearly no Florida resident wants a neighbor like the Cape Coral man but, unfortunately, sometimes you encounter one. Do you know what you should do when it happens to you? What is Florida Law Regarding Noise Violations? There is no official state law regarding noise violations. Historically, there was such a law but it was struck down by the Florida Supreme Court as unconstitutional in 2012 because it was deemed an unreasonable restriction on the freedom of expression. Since that year, local jurisdictions have been able to enforce laws regarding loud noises. Try talking directly to your neighbor. Depending on your relationship with your neighbor, this may be the best course of action to undertake. After all, this does not involve any middleman and instead keeps the conflict directly between the two of you. Your neighbor may not be aware that he or she is so noisy and simply bringing attention to it may be enough to resolve your issue. Contact your landlord. Many leases have a standard clause guaranteeing you quiet enjoyment in your rental property. This means that to a certain extent, your landlord is supposed to make sure that your neighbors do not interfere with your ability to live normally in your home. You can always try contacting your landlord. Contact authorities. If no other course of action has been successful, contact authorities the next time that you are being disturbed by your neighbor’s noise. Make this the last resort as it may damage whatever relationship is left between you and your neighbor if he or she determines it was you who called authorities. 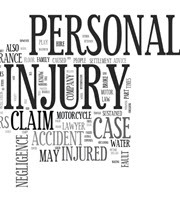 Allow Experienced Personal Injury Attorneys to Help. If you or a loved one has been injured as the result of a neighbor’s negligence, we can help. It is important to ensure that you have an experienced personal injury attorney on your side that knows the law and can fight for your rights. The Fort Myers personal injury attorneys at The Pendas Law Firm are experienced in helping people like you recover the compensation that you deserve. Contact us today to schedule a free initial consultation.